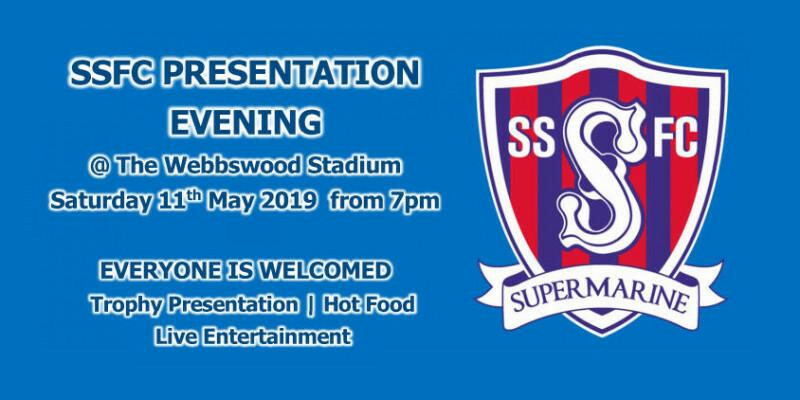 The Swindon Supermarine FC end of season presentation night will be held at the club on Saturday 11th May 2019 from 7pm with entertainment from duo Sean and Charlotte who were well received when they were with us two years ago. The football club will also cater with some hot food during the presentation of the trophies for the Players Player, Managers Player and Supporters Player of the Season. This presentation evening is not only for the players but all our sponsors, friends and supporters of SSFC, everybody is warmly welcomed to attend, so please come along for what is always a good evening.